Ladies' top. Cut and sewn. Snug fit. Suitable for any sport, for training and competitions. Available in 3 colours. Stretch fabric. 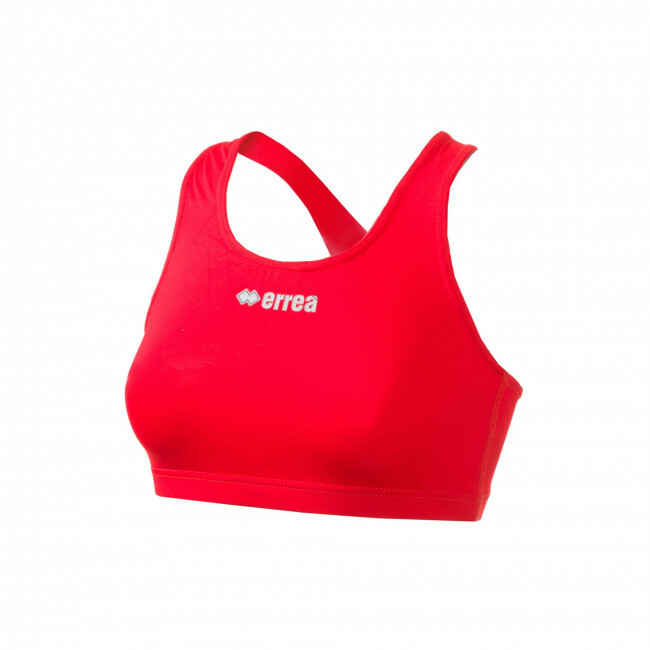 Designed to support the shapely lines of your and reduce skin rash at the same time, this elegant ladies' sports top by Erreà is perfect for any sports activity. Made of a resistant and stretchable fabric, it moves with you and is provided with internal compression zones to perfectly shape your body's contours. It's plunging neckline assures the greatest freedom of movement.